If you’re in need of an example of something which more than lived up to the hype, then look no further than this episode. As it turns out, the staff weren’t lying when they promised an episode you shouldn’t miss. From spectacular action to surprisingly inspired depictions of tragic pasts, this episode’s got it all! 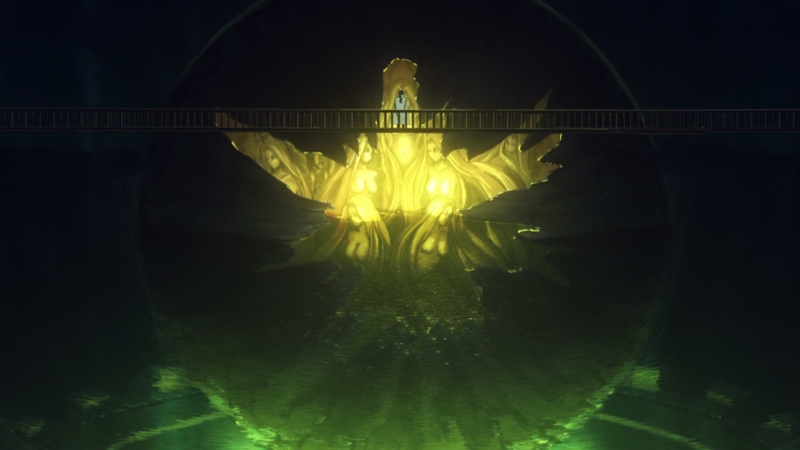 — We kick off the episode with Darnic watching over the Great Grail he plundered from the 3rd Grail War, framed with the intent of showing off its massive scale. The flashback that follows features some nice easter eggs as well, such as Fionn and our good friend Zouken. — Fran and Shiro’s square off sets the standard for practically every piece of action we see this episode, particularly once Shiro draws the Noble Phantasm prepared for him by Shakespeare (I’m so glad this show has granted me the opportunity to type that line). The exaggerated drawings for Fran’s movement contrast to the finesse and flexibility displayed by Shiro, showcasing their fundamentally different characters. Shiro’s movements are particularly neat, since we know that members of the Church are trained to dispose of their targets as effectively as possible and his demeanor during the fight is in line with that. 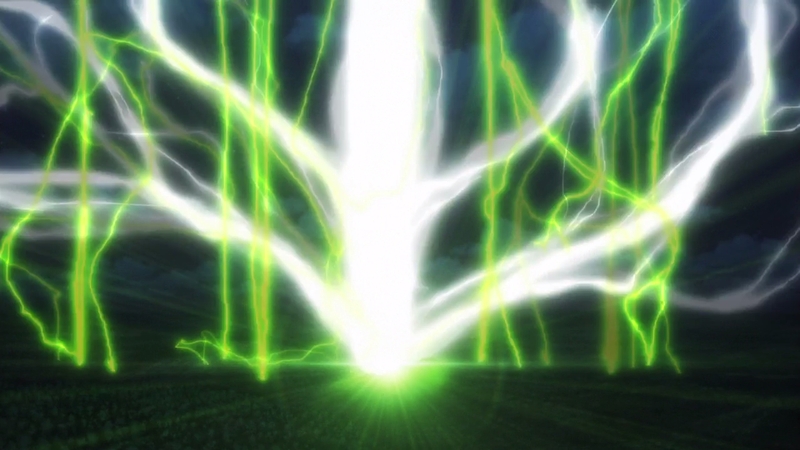 The points I made regarding Fran’s lightning last week are proven even further, too! My favourite section of this encounter is Shiro’s aerial assault of Fran; the show isn’t shy when it comes to dynamic camerawork, which gain only helps to stress how nimble and agile Shiro is. 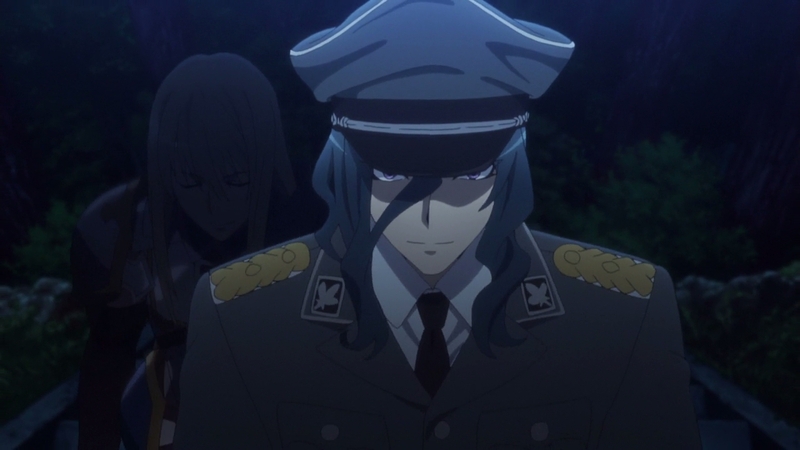 — Vlad and Karna get very little time to shine during this episode, but they do make the best out of it thanks to whom I assume is Takahito Sakazume himself. 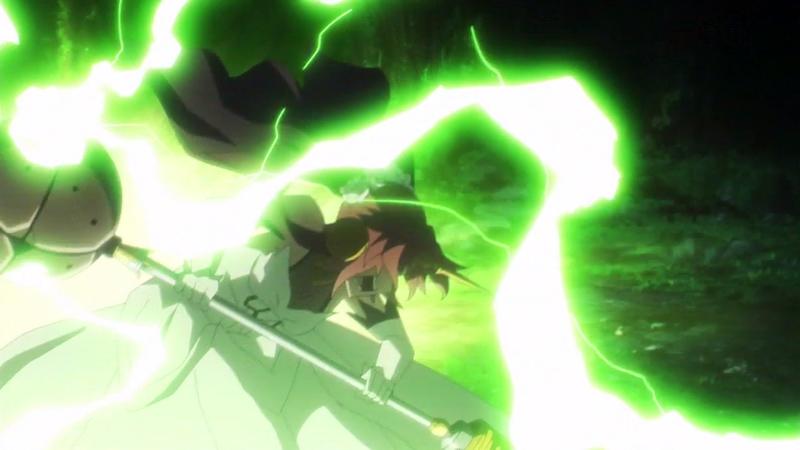 The setpiece is similar to how he framed the clash between Mordred and Siegfried in episode 1 (without the frantic pace as neither participant is as rapid as Mordred), while the sparks feel like another tell of his style. Spartacus’ intervention following this serves as the catalyst for Atalanta to steal the show on multiple occasions; her dash and subsequent sliding under his legs – handled by Toru Iwasawa, who’s proven over and over he’s one of this production’s aces – is a personal highlight in an episode full of remarkable moments. Funnily enough, one of said sequences also involves Spartacus getting some revenge on her for this with a kick that looks like it could have sent her straight into orbit. The weight behind the kick and the impact itself are portrayed in such believable fashion on their own here that I think the incorporation of impact frames does more harm than good, feeling more like an unnecessary gimmick as opposed to an appropriate technique to increase the bombastic punch (or kick, rather). Consider that a minor complaint though, as they even make sure to follow through with showing just how much damage Atalanta took and how far it sent her afterwards. It’s always a pleasure to see thoroughness when it comes to scenes like this, rather than turning action into flashy instants that disregard immediate context. Spartacus’ overwhelming physical presence and the size difference between him and Atalanta remains a factor throughout the encounter. — I’d be remiss to not give this week’s take on Atalanta’s Phoebus Catastrophe a section of its own, because wow. 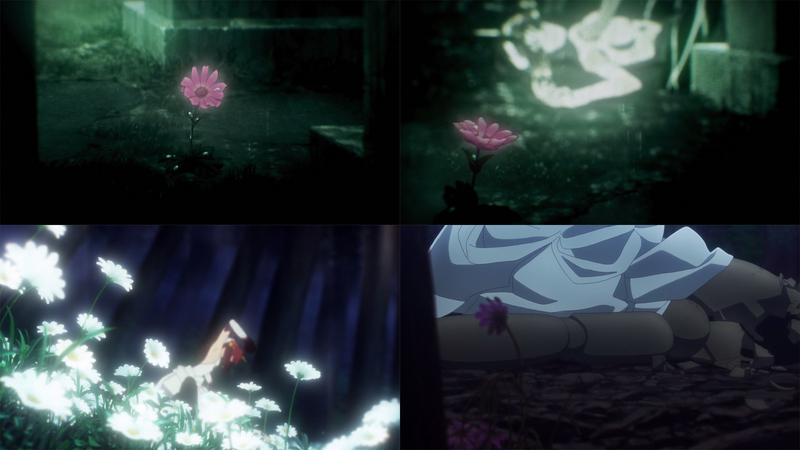 The most spectacular moment in the episode as far as most viewers are concerned, and for good reason: it’s not often that we see industry veteran and FX specialist (amongst other things) Soichiro Matsuda‘s work nowadays, but his pedigree becomes obvious whenever he does. His fluid and detailed FX work offers quite the contrast in a production dominated by digital artists; he’s no stranger to stylization, but his quirks are different and his efforts much more dense than the flat drawings that webgen animators tend to use. And of course, it helps that the post-processing work didn’t entirely gobble up and spit out his animation in unrecognizable fashion as it’s been happening to those digital youngsters – a topic I touched on previously, sadly. Whether he requested this himself or the staff just understood that it would be best to take this route is anyone’s guess without insider comments, but the end result certainly made a cool moment all the more special. Somewhat telling that this happens when one of the major points of a recent post is regarding the lack of FX specialists these days! — Big episodes like this tend to be remembered by the big moments like the ones covered thus far, but I’m of the opinion that the secret sauce to making them truly memorable is ensuring that even the less grandiose scenes tying it all together stand out on their own. 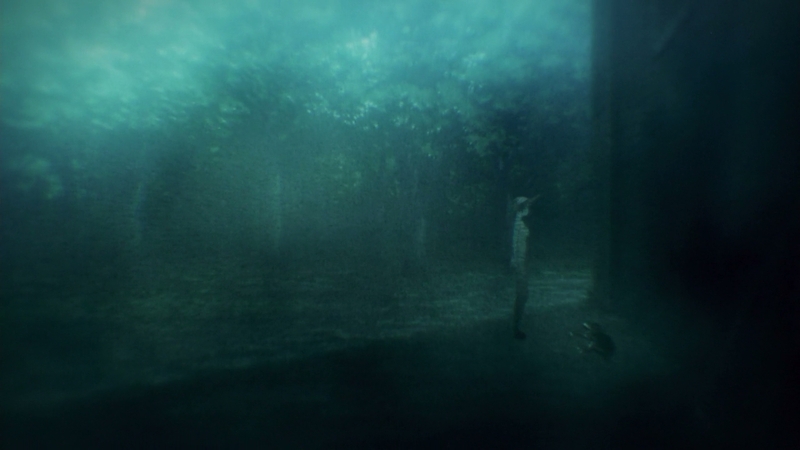 This episode succeeds on this front, as there’s a number of these lesser yet notable moments peppered throughout it: special mention to Jeanne in this regard, as even a scene as insignificant as her simply running towards Babylon features exciting motion and impressive fabric detail on the initial distance shot – I’m willing to bet that chief animation director Kiminori Ito’s corrections played a part in this, as the results are very reminiscent of his output in episode 2. 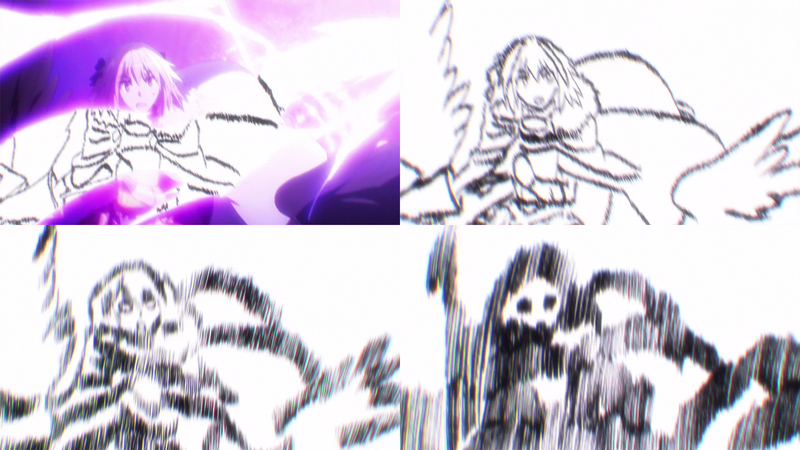 Following that, we have the return of my ever so favourite low angle framing accompanied by very sharp drawings as Jeanne finds herself bound by Semiramis’ chains once more, not to mention Astolfo turning into a spooky skeleton after some nasty Semiramis zapping. It’s easy to focus on producing one or two standout moments within an episode and sacrificing the rest as a result, so I’ll happily applaud this attempt to keep the viewers on their toes from the beginning right until the ED kicks in. — One of my hopes going into this show was that, while the animation highlights would likely be limited to the action scenes, we would see similarly inspired directional concepts when it came to the backstories of the servants involved in the Great Grail War. To be honest I didn’t remain optimistic after a while, but Mordred‘s past left me crossing my fingers once more, and Fran’s forcefully induced flashback by the hand of Shakespeare surpassed my expectations. 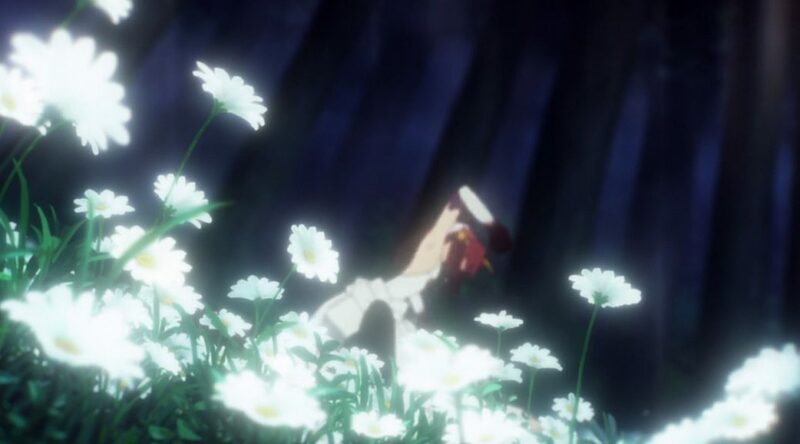 The grainy, gross visuals are offputting at first, yet entirely appropriate considering the nature of what she’s recalling, while the recurring flower imagery is a nice parallel with her simple, beautiful dream that was denied by her creator. Most striking about this entire sequence however are the deformed drawings that take center stage during her breakdown, which capture the writhing pain and confusion caused by what she’s been forced to relive. The character art returning to its standard state the moment Caules uses his command seal to calm her down goes to show that this was no coincidence, too. While this was quite the treat already, I sure hope it isn’t the last time we see something like this! The fact that none of us so much as noticed this speaks to our capability when it comes to running this site.